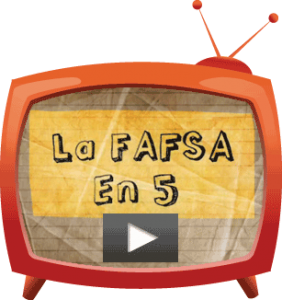 Are there any special instructions for homeless students who are filling out the FAFSA? While completing your Free Application for Federal Student Aid (FAFSA), you may be asked three different questions about homelessness. 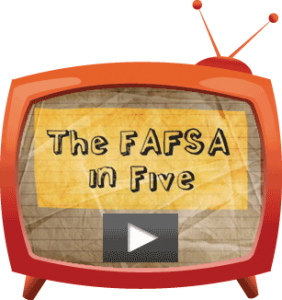 At any time on or after July 1 [in the year prior to the academic year covered by this FAFSA], did an official* determine that you were an unaccompanied youth who was homeless or were self-supporting and at risk of being homeless? A director of a runaway or homeless youth basic center or transitional living program. As always, you should contact the financial aid office at your school(s) of interest if you need help answering any of these questions. If you answer yes to any one of the ‘homelessness’ questions, you’ll be considered an independent student and will not be required to provide your parents’ income and tax information on your FAFSA. Later on, though, you may be asked by a financial aid administrator to provide a copy of the homeless youth determination. If you did not receive a determination provided by one of the officials listed above, you’ll be considered a dependent student on the FAFSA, but you may ask a financial aid administrator to consider making their own determination. The administrator will probably ask you for additional documentation before reaching a decision. A student is considered unaccompanied if he or she is not in the physical custody of a parent or guardian. A student is considered homeless if he or she lacks fixed, regular, and adequate housing. This includes students who are living in shelters, motels, cars, or parks, or who are temporarily living with other people because they have nowhere else to go. Students are also considered homeless if they are fleeing an abusive parent who would otherwise provide the student with financial support and a place to live. Which street address should a homeless student provide on their FAFSA? According to the U.S. Department of Education, “You must provide a mailing address where you can reliably receive mail. Your mailing address can be the address of a relative or friend who has given you permission to use it, or it can be your college’s address. 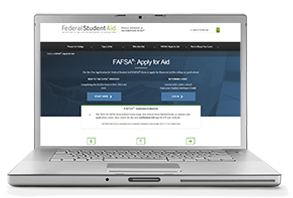 If you want to use your college’s address, you must contact the school for permission and instructions to ensure that your mail reaches you.” Don’t forget to update your FAFSA later when you find more permanent housing. For more information and a list of additional resources for homeless students, read Questions and Answers: Federal Student Aid and Homeless Youth from StudentAid.gov.